Editor’s Note: I tried to do a series called the “McFarland Book of the Week” awhile ago and I just could not reasonably keep up. You’ll see these new posts from time to time which update you on the most recent McFarland Civil War books available. McFarland’s books tend to be on the expensive side, and the quality varies, but for those of you interested in very specific Civil War subjects, you’ll often find some very good volumes available. To order directly from McFarland, feel free to call their order line (800-253-2187) or use their website: www.mcfarlandpub.com. TOCWOC’s Take: Myron J. Smith is on a roll with his series of books on the Civil War on the western waters, and this book looks no different. Battles and skirmishes which have never before appeared together in one book are tied neatly together as actions to protect or assault Vicksburg’s northern flank. 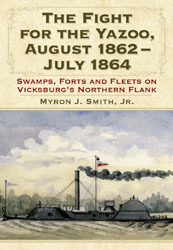 This book covers such events as the Battle of Chickasaw Bayou, the Yazoo Pass Expedition, Steele’s Bayou, incidents during the Siege of Vicksburg, and Northern attempts to protect the area in 1863-64 against Confederate probes. 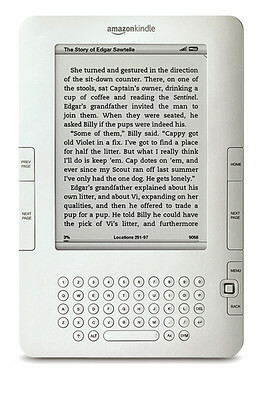 Smith is one of the best authors writing for McFarland, in no small part due to his extensive research. The author did his due diligence in visiting archival locations and relying on the Official Records as a major source, but he also uses dozens of period newspapers and is not afraid to use some of the multitude of information now freely available on the internet. He is clearly an early adopter of what I expect to become commonplace in the coming decades. TOCWOC’s Take: Alexander McCook was one of the famous “Fighting McCooks”, who participated in some of the most famous battles of the Civil War including First Bull Run and Chickamauga. It was at the latter battle that his career essentially came to an end. 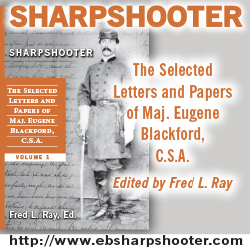 Aside from utilizing the McCook family papers, this biography relies mainly on the Official Records and secondary sources, though period newspapers were also used. 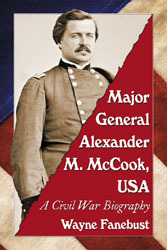 The book heavily emphasizes McCook’s Civil War service, with 14 out of 19 chapters looking at that period of his life. 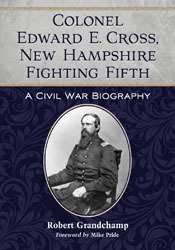 TOCWOC’s Take: Fellow Civil War blogger Robert Grandchamp has produced a fine biography of Colonel Edward Cross,whose name is synonymous with the famous Fifth New Hampshire from its formation until (spoiler alert!) his death at the Battle of Gettysburg (end spoiler alert). Grandchamp has not produced a hagiography, shedding light on Cross’ drinking problem as well as his combative nature on as well as off the battlefield. Grandchamp used a bunch of archival sources (24), mix of primary and secondary sources and articles, and as is the growing trend, dozens of period newspaper accounts. TOCWOC’s Take: Interesting title, to say the least! I admit I was intrigued immediately. 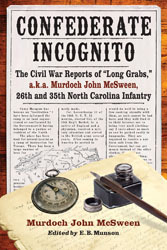 Murdoch John McSween wrote over 80 letters to the Fayetteville (NC) Observer during the Civil War using the pen name “Long Grabs.” McSween was essentially an unofficial correspondent at the front for the Observer. Long Grabs saw interesting and varied service during the war, including surviving a court martial and prison term only to get wounded twice at Petersburg. During his time at Petersburg, it appears he was regularly writing back to the Observer with plenty of interesting details on the situation there, a good source for me to use at The Siege of Petersburg Online. He was, naturally enough, a newspaperman after the war, editing and publishing the Eagle.